We’d love your help. 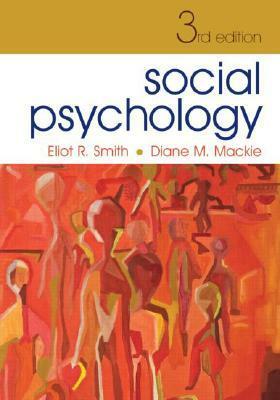 Let us know what’s wrong with this preview of Social Psychology by Eliot R. Smith. 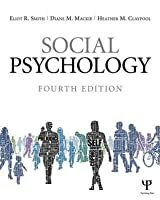 Social Psychology, 3rd Edition provides the only conceptually integrated undergraduate introduction to social psychology, offering a clear synthesis of the cognitive and social, and individual and group influences that shape social behavior. This textbook offers comprehensive coverage of classic, contemporary, and emerging topics in social psychology. 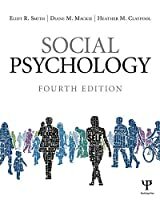 The focus is on underl Social Psychology, 3rd Edition provides the only conceptually integrated undergraduate introduction to social psychology, offering a clear synthesis of the cognitive and social, and individual and group influences that shape social behavior. This textbook offers comprehensive coverage of classic, contemporary, and emerging topics in social psychology. The focus is on underlying, unifying principles that operate across topics, rather than treatment of each topic in isolation, a focus that reflects the increasingly cross-disciplinary developments within and beyond psychology. An emphasis on research carried out in different parts of the world and a sensitivity to cross-cultural perspectives highlight the internationalization of the field in recent years. In addition, the text offers real-world applications of scientific principles to areas such as marketing, law, education, and health. Throughout, the discussion conceptually integrates the pervasive impact of social groups on all aspects of social behavior. Extensive feedback from reviews of prior editions has helped make this third edition comprehensive, contemporary, and relevant to social psychology students' and instructors' needs. Effective and helpful pedagogical features include chapter summaries, margin glossaries, tables, graphs, and photographs. An attractive student-friendly format, and a narrative by two leading scholars that is both lively and rigorous, make this text one of the most respected and acclaimed on the market. Lelkesítő, jól szerkesztett, majdnem szívesen megvett tankönyv. Alapnak kiváló, tényleg élveztem olvasni (tanulni). This is a hard one. On one hand, it's a very clear and usually well-written book. On the other hand, it refers to research conducted in the eighties as 'recent'. Also, one of the authors' (I'm not sure whom) writing styles is annoying. He or she uses 'for example' so frequently it starts to get annoying in the first couple of chapters, and only increases if you continue reading. Lastly, the layout of the book is pretty boring, and doesn't really 'draw you in'. All things considered, I would reco This is a hard one. On one hand, it's a very clear and usually well-written book. On the other hand, it refers to research conducted in the eighties as 'recent'. Also, one of the authors' (I'm not sure whom) writing styles is annoying. He or she uses 'for example' so frequently it starts to get annoying in the first couple of chapters, and only increases if you continue reading. Lastly, the layout of the book is pretty boring, and doesn't really 'draw you in'. Great book. 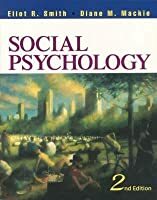 This is my first psychology textbook, and I really enjoyed the way in which theory is presented and illustrated with studied cases and charts that help us see it more easily. Very insightful to many aspects of one's own life, even as a student. Highly recommended. I just wish I had read the newer edition, because some of the facts presented in this second edition seem a little dated now, in 2011-12.